Year on year growth in rental prices has varied across the regions but the median rent hasn't budged in the last six months, according to the latest Trade Me Property Rental Index. Head of Trade Me Property Nigel Jeffries said Auckland’s median weekly rent of $530 remains the highest in the country, but growth in our largest city is down on the national average, up only 3.9 per cent on this time last year. Median weekly rents in Christchurch haven’t grown year-on-year for the last 12 months as the city settles back into its rental rhythm. The median weekly rent in the Garden City ticked down 2.5 per cent in June to $390. The asking rent in the city has only gone up $30 in the past five years. However, Jeffries said the typical New Zealand rental property started the year with a median weekly rent of $450 and is yet to budge. Median weekly rents outside Auckland, Wellington and Christchurch were up 8.6 per cent year-on-year with the ‘star performing’ regions still showing growth. These regions include Northland (up 15.2 per cent), Waikato (8.3 per cent) and Nelson (8.1 per cent). However it was a mixed bag throughout the country in June. In the Bay of Plenty the median weekly rent leapt from around $350 in June 2015, up to $400 a week in June 2016 and peaked at $450 in April this year. But since then, it has plateaued and now sits at $430 a week, up just 2.4 per cent on a year ago. Northland was the strongest performing region with the median weekly rent jumping to a near-record $380 in June. Landlords in Nelson will be happy knowing it was the only region to hit a new record in June, hitting $400 a week. Meanwhile Taranaki, the West Coast and Marlborough were all unchanged year-on-year, and Canterbury was the only region to fall, dipping 1.3 per cent. Jeffries said Wellington’s urban properties are still seeing a huge imbalance between demand and supply, with the lack of properties pushing median weekly rents up in all urban property categories. 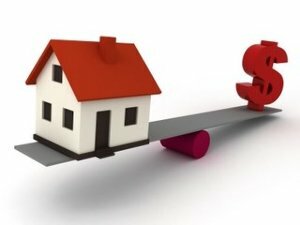 “Apartments, townhouses and units have all jumped more than 11 per cent in the last year. Tenants looking for these properties are having to find a lot more money. In the case of units they’re paying over $1,800 more a year and over $2,300 more for apartments and townhouses.